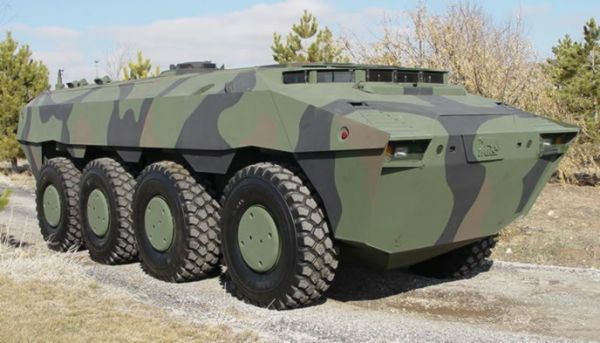 Turkish defense contractor FNSS scored big last year when news of its Pars APC’s export success began circulating online. 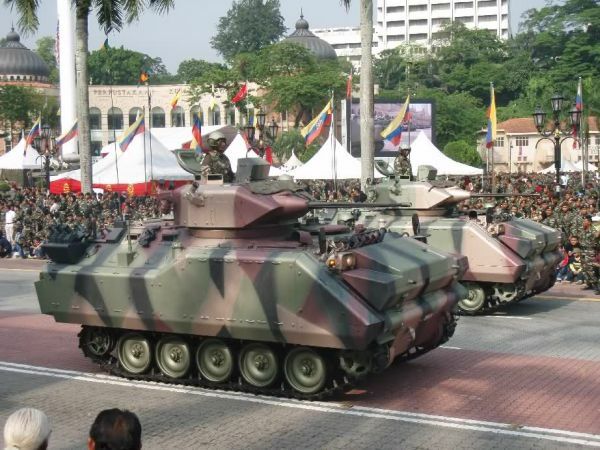 The reason for this was Malaysia’s submission of its Letter of Offer and Acceptance (LOA) to jointly design and build indigenized versions of the Pars APC. Costing a total of $559 million so far, 257 Pars APCs are to be built by DefTech, a Malaysian defense contractor, in collaboration with FNSS. The first prototypes are scheduled to arrive this 2011 and in the ensuing several years FNSS and DefTech engineers will jointly produce a new Pars-based APC that suits the needs of the Malaysian Armed Forces. The new APC’s designation is the AV8. There’s word South African firm Denel is also involved with developing a special two-man turret for the AV-8 while electronics components are to be provided by Sapura Thales Electronics. The AV8/Pars program isn’t the only collaboration between the Malaysia and Turkey in recent years. To date, Malaysia already fields a sizable number of FNSS Adnan armored combat vehicles. The Pars is an American designed and Turkish built amphibious APC that can accommodate up to 12 soldiers and a broad variety of mission modules. Keeping with trends in the global defense industry, the Pars (Turkish for “leopard”) is a modular vehicle suited for different weapon systems, be it anti-tank missiles or communications gear for command and control. Originally designed by American firm General Purpose Vehicles (GPV) to meet the requirements of the Turkish Land Forces Command in 2005 the Pars is in the same league as its potential export rivals like the BTR family of vehicles from Russia and Ukraine, Germany’s Boxer, the US Stryker, and the Chinese ZBL-09. What makes the Pars different from its rivals are its unique design features that include a wider driving compartment. Its amphibious capabilities are also unorthodox since it doesn’t require a built-in propeller—the Pars moves on water using its road wheels. Light enough to be transported by air and equipped with a powerful suspension system, earlier field tests in the UAE four years ago produced excellent results. 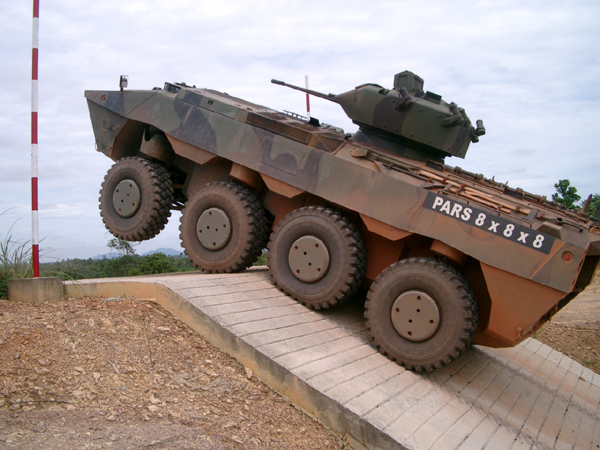 Unlike most wheeled APCs, the Pars is available in 6×6 and even 10×10 variants. Whether the AV8 program compels neighboring countries to invest on new combat vehicles is unknown, but this writer believes Malaysia’s neighbors have plans for their own bulk purchases in the near future.